Hands on workshops all day! This Autumn’s Love Food will be packed full of delicious things to do for all the family! 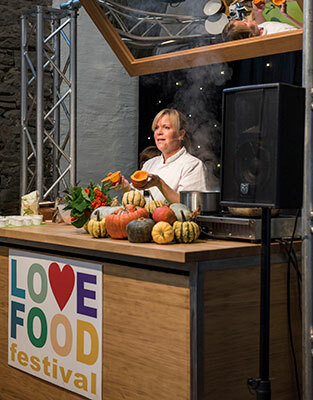 Jo Ingleby (BBC Cook of the Year 2015) will be holding cookery workshops for children of all ages all day. The sessions are free but we do ask for a contribution if you can afford to pay. Children under 7 need to be with an adult, older children are welcome to bring a grown up if they want, but don’t have to. During these fun, hands on, sessions we will be making dishes using the best of local, seasonal ingredients. The sessions last approximately 40 minutes and will carry on through the day, just come along and join in, or sign up if we are busy.